Our favorite restaurants in Richmond, Va list is not in any particular order just a list. So if you live in Richmond, Va or just visiting i hope you will find this list of favorite restaurants helpful. 1. 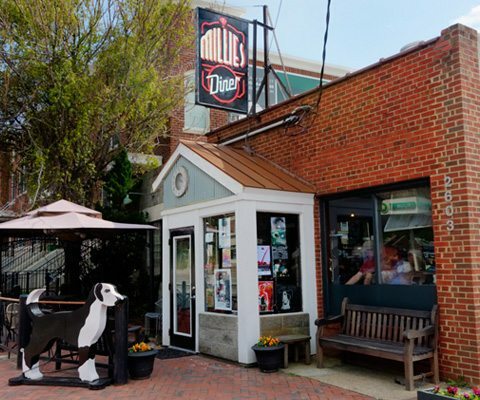 Millies Diner: Diner is an understatement. This is a gourmet diner with great foods from this small restaurant. It has unique food selection with everything made to order in a kitchen right in front of the customers. It is small so you may have a wait but it is worth the wait. Kids are welcome anytime but they would probably do best with the brunch selection. 2. Zeus Gallery- Another small restaurant in the Fan District. A little pricey but the food is always delicious. No menus here just look up on the many chalk boards around the restaurant to make your selections. Looking for a more international flare in Richmond, VA? This cuban influenced restaurant is a family favorite. Expect to come out smelling like food as the kitchen is out in the view of customers. The portions are large and I sometimes just order and black bean soup and salad instead of an entrée. You can not skip the fried plantains– to die for. Don’t leave without a slice of tres leche cake if there is any left! Kid friendly, brunch. Mekong’s theme is Mekong is for beer lovers. Come for the amazing beer selection but stay for the even more amazing and fresh Vietnamese entrees. My kids love this place and they order the make your own spring rolls. Don’t be turned off by the curb appeal. When I first went there I was not sure I wanted to go in, but this no thrills restaurant will provide plenty of thrills in your belly! A brand new restaurant for our family that we discovered the last weekend. Coming from the folks of Kuba Kuba this is an electic menu with huge portions. Kids menu just 2.99 although our youngest ordered the hamburger (regular menu) The pasta bowls are as big as my serving bowls at home. They have $3 drinks during happy hour which we happened to fall into. 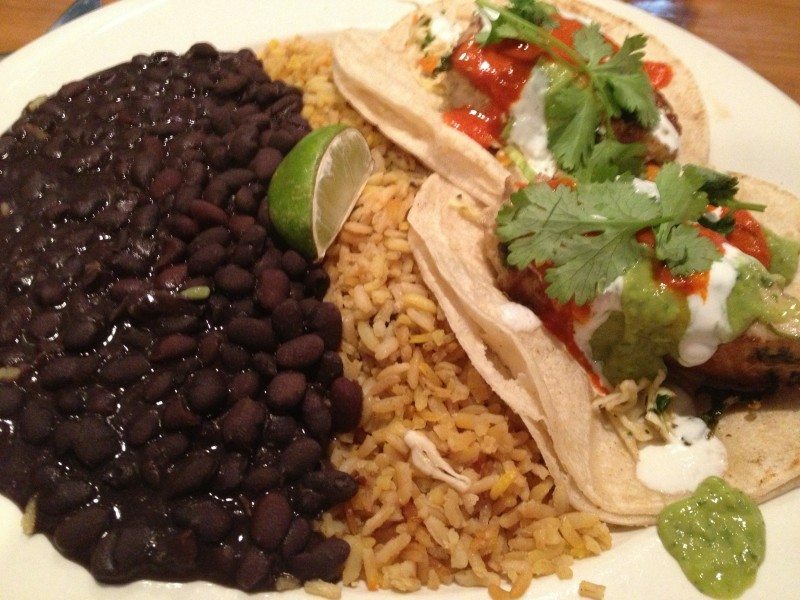 We both enjoyed our Fish Tacos, which came with a huge side of black beans and rice. Definitely going back again. For an upscale Greek Restaurant this is your ticket. Located in an off beat location, Stellas is upbeat food. I have been there with girl friends and we shared the appetizers for a meal. I have also been there for dinner and brunch with the kids. Amazing food each time we have gone. Be sure to make reservations. A small walk up restaurant off Patterson Avenue that has authentic and delicious greek food. We have gone here for a quick date night when we only have a short time for dinner. This greek food is authentic and reasonably priced. They have a huge selection of homemade desserts too. My friends recently did a large take out for the adults for a family get together. Heavy on the garlic but worth every bite. My favorite date night dinner especially during the nights they can have the windows open and maybe sit outside where the noise level is more manageable. Many of the foods are homemade in-house. The menu changes seasonally so you know you are getting fresh food. Definitely upscale and modern with flavors that are sure to surprise you. These are just a taste of our favorite Richmond restaurants. We are constantly hearing about new ones opening. 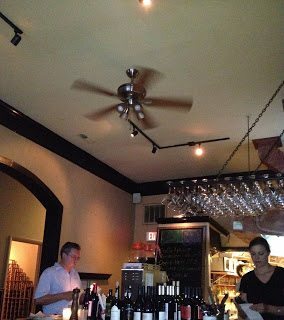 If you have a favorite Richmond restaurant that we did not mention please add it to the comments. Bon appetite! I love little homey restaurants! Thanks for sharing this. It’s always great to know what’s good around different areas. Oh I so wanted to participate in this, but could not find the time. Your favorite places look divine!! I’ve been to VA one time in the winter – it was beautiful. I live in NY so probably will never go to Richmond to try any of these restaurants–but they all sound super good!! If I ever get there I will definitely try one or two of them! !